Previously reviewed several months ago this Gewurz is feeling its age. Nice golden hue with aromas of sweet tropical fruit, apples and green melon and an emerging off aroma of glue. Palate-- Dry with razor sharp acid core and nuanced fruit with a nutty backbone. Finishes with creamy texture. $10. This review is probably quite different than the previous so check it out and compare. At 6 years old, it should be still be holding its age but this one is definitely on its way out. I have one or tow more in the cellar so we'll see how they fare. At any rate--raise a glass! Pale straw with big aromas of grassy citrus, and guava paste. Palate--Sharp acid with classic New Zealand S.B. citrus and tangy fruit. This Marlborough SB is classic for the varietal and was great with steamed mussels. A $10 Sauvignon Blanc worth grabbing. Raise a glass. Everyone loves a good value wine. At $6, this one delivers with a fragrant nose and a solid finish. Go off the beaten path with Viognier, and raise a glass! Good Pinotage from South Africa always has an exotic edge to it with wild fruit, coffee, and gamy notes. This wine has all that along with good depth, too. It's not an evening sipper, rather a wine to pair at the table with barbecue or smoked meat. At $30, it's the most expensive Pinotage I've ever had. Raise a glass! Black cherry hue with sweet cola aromas and berry notes. Palate--awkward like the bouquet and not the classic Tuscan Sangiovese like the prior vintage. Sharp berry flavor and a little steel that ends quickly. I thought this was the wine--albeit the 07 vintage--for which I drove 300 miles round trip to buy a case of it at a Boston Trader Joe's. At $6 it was a super value and classic example of Tuscan wine. But this is NOT the same wine. That was the "Chianti Riserva." This wine tastes manufactured and confused. It drinks marginally "Ok" but it's not it's anything like the previous one mentioned and reviewed. I'll pass on this one. Crystalline yellow gold hue with aromas of perfumy vanilla, lemon curd and green apple. 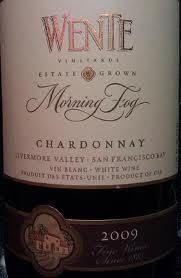 Palate--Nicely balanced acid foundation with nice Chard flavors, vanilla touch with a slight spicy presence. I love the finish of this wine leaving lingering fruit and sweet spice. This Livermore Valley Chard reminds me of a Burgundy Chard I have had--seriously. Half of this wine is barrel aged in French Oak and half is done in stainless. The result is a wine with some complexity and purity that tastes real. I don't often see Wente wines in my area and the reason I grabbed this wine out of sentimental remembrance of one the earliest wines I had when I was just beginning the marvelous exploration in to the world of wine. I am so pleased that it was a GOOD wine and not just sentimentality. At $12 raise a glass of a value Chard! Here's an excellent food wine for $13. It's not too sweet and not too tart, with a good backbone and a food-friendly flavor profile. Friulano was formerly known and labeled as Tocai Friulano until the 2007 vintage. It's a white wine varietal grown almost exclusively in a small region of Northern Italy where the grape excells. This bottling is from a producer known for the marriage of food and wine in the United States. Joe Bastianich, along with his mother Lidia, has long been a fixture in the New York food and wine scene. He is also making wines in Italy, to which I raise a glass! This Cab has a dark fruit and chocolate profile, but it's firm and a bit austere. Some time in the cellar might develop this with smoother texture and rounded edges, but that remains to be seen. At $60, it's not a bargain. If you have a bottle of this, fire up the grill and give this wine plenty of air while wait for your steak to be done. For my money, I'll be raising a glass of something else. Palate--thin textured with bready notes, hot subdued black cherry fruit that finishes a bit bitter. I just grabbed this a couple hours ago at a shop I haven't been to in a couple years. Since it was an 07 Napa Cab, at $10 I thought I might try it. I did a search on my iPhone at the store and found someone (Wine Advocate??? )gave it 87points. I bought it and just threw away $10 so you don't have to! This is not very varietal, and tastes all around marginal. Don't raise a glass of this plonk and shows you that even in a great vintage as 2007 is for Napa Cab, you can still get garbage. 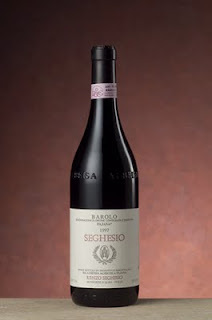 Very pretty jewel-like ruby/garnet hue with aromas of cherry and earth,a touch of candy apple and great memories of a Tuscan vacation with (NW) of this blog. Palate--Fruity pepper but nicely balanced with plenty of flavor and Tuscan terroir. It finishes okay with lingering fruit memories. Wow! Here's the get a grip factor; this is another Trader Joe's ridiculous value wine for $5 and you just can't find wine this well made and tasty and varietal and classic of the region for this price. Which means--stock up and raise many glasses! Gorgeous hue of purple/black cherry with a beautiful bouquet that reminds me of a Zinfandel with dark berry jam up front and a milk chocolate base, accompanied by licorice, and cigar box foundation--beautiful! Palate--Silky tannins, full textured with big ripe jammy berries and cocoa; gorgeous! Drinking well now but will morph into a wonderfully complex wine in another 3-5 years. 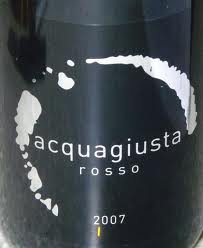 This is a Tuscan blend of Cabernet Sauvignon 35%, Merlot 35%, and Syrah 30%. A unique wine and paired well with grilled veal chops. I would not have pegged this as a Tuscan wine. Wine Spectator gave this 92 points; I have never seen it before but bought it through mail order for $18. A different and complex wine--raise a glass! Lighter cherry hue with aromas of red berries and light strawberry, light white pepper and spice. Palate--bright, edgy strawberry front with later subtle cocoa,and smoke. Simple, straight forward but with a foundation that has some real zip to it. Light finish of smoke that lingers a bit. A Trader Joe's New Zealand Pinot for $8 is about all I need to say. 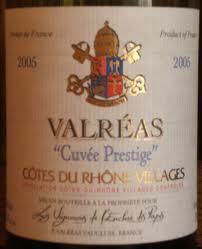 It is very drinkable and its fruity foundation makes it desirable to those who might think they don't like red wine. Raise a glass to another TJ value. Deep purple black hue pigmented hard. Dark baker's chocolate under rich, ripe blackberry fruit and milky chocolate. Palate--rich, big course at first that turns velvety, balanced and soft with loads of fruit. Tasty! I bought this while out on the West Coast recently. I visited Jaffurs winery a couple years back and was impressed with the unpretentious, warehouse set up. Only great wine; no frills. $38 and a trip in the plane. Raise a glass!!! This wine from the Montagne St. Emilion has a firm red hue with chocolate covered blackberries, prunes and sweet tobacco. 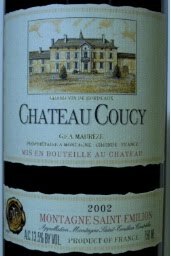 Palate--Integrated, round still lively with 5 years of life, black cherry and currants with ripe plum. I bought this at Whole Foods for $13 and it is a good value and a nice pleasure. I made a subsequent trip looking for more but to no avail. Raise a glass. Palate--silky, velvety texture, with ripe prune fruit on a luxurious bed of sweetness that lingers. The perfect ending to a meal or accompany with hearty cheeses especially bleu's with bite. A real treat is dark chocolate with a sip or dark chocolate dipped strawberries! This sells for around the $25 price point and is a nice splurge! Just say Ahhhhh and raise a glass. *Do not confuse this with "Vintage Port." The difference? I'll let Dr. Vinny of the Wine Spectator answer that. "“Late-Bottled Vintage” or “LBV” Ports aren’t bottled until up to four to six years from the vintage date. This means they spend about twice as long in wood as Vintage Ports, and so they’re usually more accessible at an early age. Some producers cold-stabilize and filter their LBVs, which is supposed to eliminate the need to decant the wine, but I’ve found that it can strip away the flavors. If you’re looking for LBVs made more like Vintage Ports, look for the word “Traditional” on the label. LBVs were originally intended to offer an experience comparable to Vintage Port but at a much lower cost. Many deliver the goods, but some of them can be just shadows of the real thing. This 75% Grenache and 25% Syrah is a pretty bright cherry in color with big red fruit and subtle licorice note. Palate--Minerals galore with a steely foundation, a tad harsh with bready flavors and strawberry fruit with a raspberry tartness and a fruity finish. All in all this is a pretty decent wine and a nice value at $6.50. Raise a glass. Pale gold with buttery lemon and loads of vanilla and citrus aromas. Palate--First impression is flaccid structure but quickly gives way to some real acid that comes out of no where. Tastes like honest Napa Chardonnay without the Napa price. This is actually a decent chard that tastes like the real thing. Why do I say that? Because this is another Trader Joe's absurd value wine selling for $6. I am not certain but I think this may be a Fred Franzia wine--Fred is famous for saying that no wine is worth more than $10! Go FRED!!! It is a touch under-structured but classically varietal, so raise a glass. I plan to serve it with a shrimp over pasta with a cream sauce which I haven't yet decided quite what I will do with it. Here's one of the great red wines of Washington state. It's made with Merlot, Cabernet Franc, and Petite Verdot which produces a full bodied wine with good texture. The fruit is rich and round, and a strong resinous quality develops with bottle age. If you have some of this 2003, drink it now. For more recent vintages, I recommend drinking at 4-5 years of age so the resinous flavors don't take over. At $50 or so it's not on the list of great values, but it's a unique wine that is well crafted and highly enjoyable. Raise a glass! Wow, what a great value wine! It's bright and floral; an excellent food wine. I couldn't believe my wife found this $10 wine marked down to $4. A steal for sure. Of all the many wines from Australia, Clare Valley Riesling is significantly under-represented in the US and other export markets. Riesling is not trendy and Australia seems to continue to stock the oversees shelves with Shiraz and Chardonnay. If you haven't sampled a Riesling from Clare Valley, you really need to track one down. 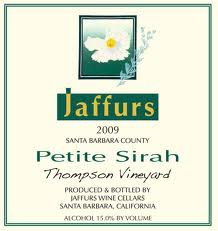 They are light and lively wines, exhibiting a dance of flavors, and excellent with food. All this for a few dollars. Raise a glass! Lighter red hue with a bouquet that is characteristic of the grape with strawberry fruit. Palate--solid strawberry fruit with candy apple flavors and some decent structure with a backbone that is substantive. Okay sit down--this is yet another Trader Joe's ridiculous value Pinot costing a whopping $7! Needless to say this is a buy more wine so raise a glass! Pale straw hue and a bouquet that is full of bananas, citrus,and loads of tropical fruit galore. Palate--Minerals abound on first taste,slightly sweet but basically off dry, with bountiful tropical fruit melange finishing with a slightly bitter lime rind that is interesting. This is another Trader Joe's ridiculous value at $7. 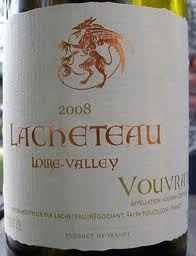 Vouvray (the Loire Valley, France) is known for its Chenin Blanc and they run considerably more than $7. While it is true that with wine you tend to get what you pay for, TJ's hs such buying clout that they are able to obtain super great pricing on many of their wines. When my wife tasted this she said--let's buy a case and drink it through the Summer chilled down. EXACTLY! This is a wonderful summer, porch wine, party wine,and oh yeah--I pared it with black eyed-peas and ham. Oh yeah, it worked as I knew it would. Raise a glass or three!! !